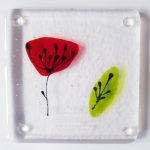 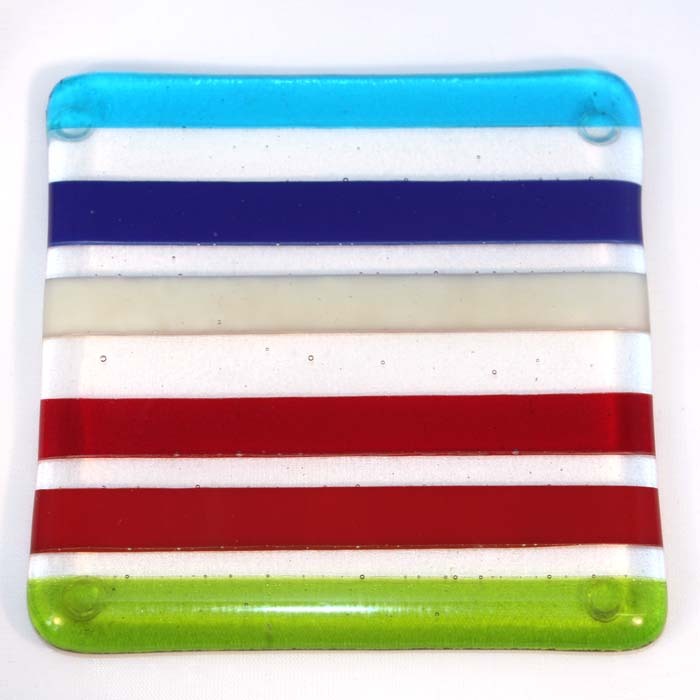 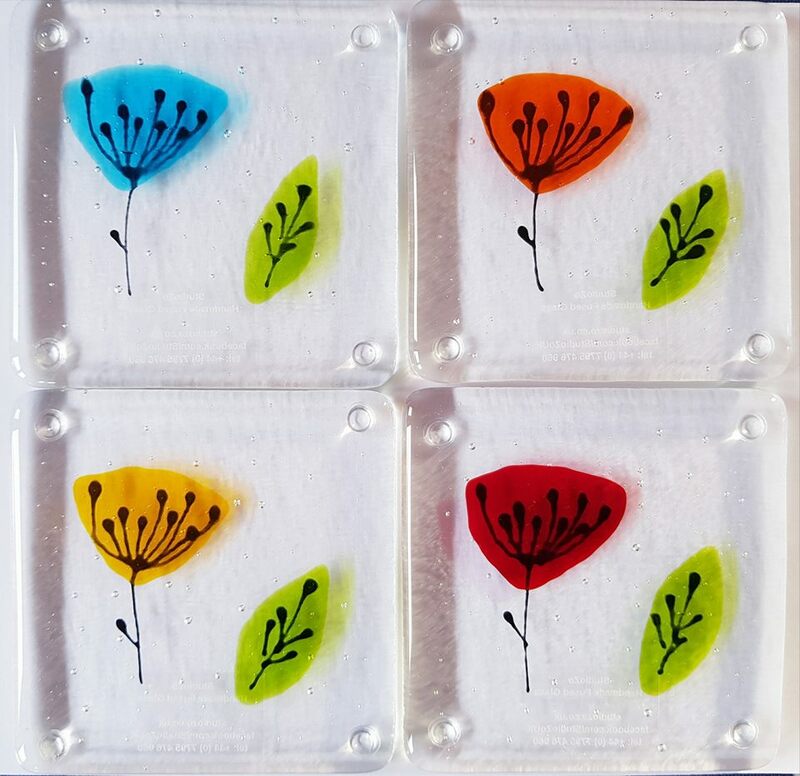 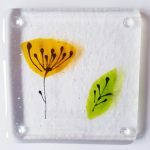 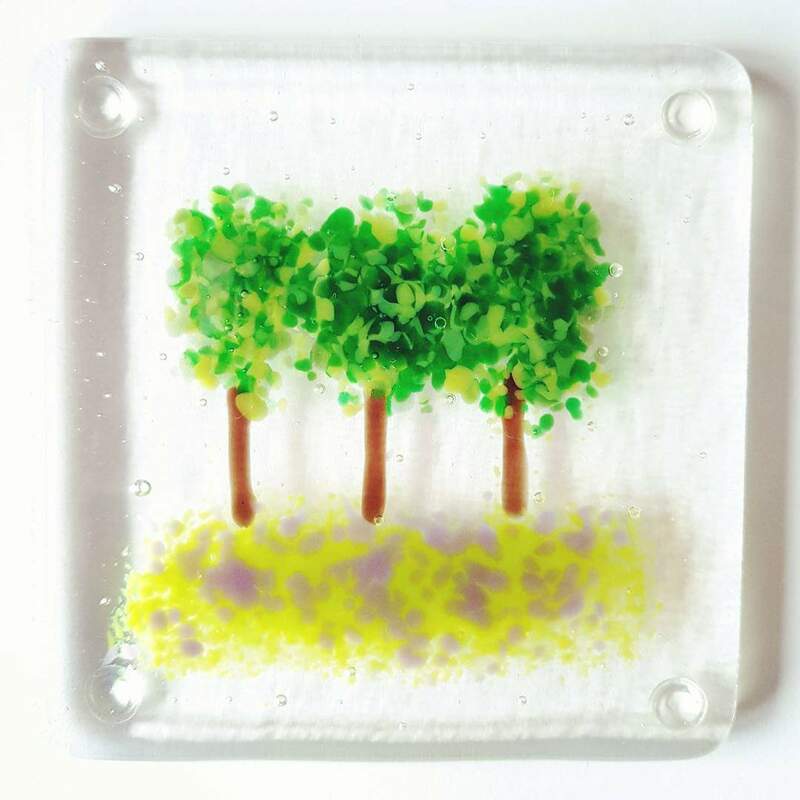 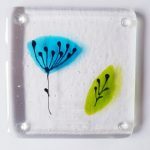 Pretty seedhead pattern fused glass coasters. 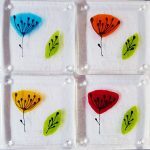 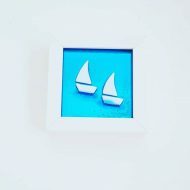 I make these in turquoise, orange, yellow or red as standard. 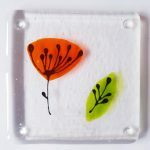 If you would like an alternative colour I can usually oblige – please just ring or email me!